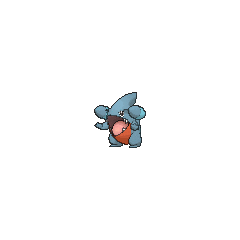 Gible in game: 6,011 Who? Important notice! Pokemon Gible is a fictional character of humans. 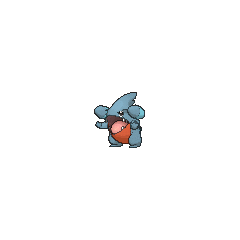 Gible (Japanese: ???? Fukamaru) is a dual-type Dragon/Ground Pokémon introduced in Generation IV. 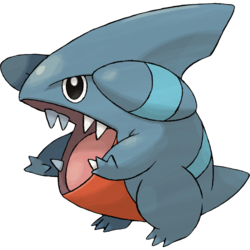 Gible is a small, bipedal dragon-like Pokémon that is primarily blue. It has a big mouth filled with sharp teeth, no neck, and arms that start at the outer edges of its jaws. A red underbelly stretches from its abdomen to the bottom of its jaw. 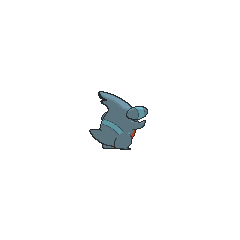 Gible has two horns that resemble jet or plane engines, each with a light blue stripe in the middle. It has a single light blue stripe wrapping around its back. On top of its head is a dorsal fin, which has a notch on it for the male. Its dorsal fin is strong enough to carry a person. Gible appears to be a good digger, making deep holes for homes in caverns. It enjoy play-fighting with other members of its species. It has tremendously strong jaws that it uses to bite enemies. However, when biting, it often hurts itself because of clumsiness. 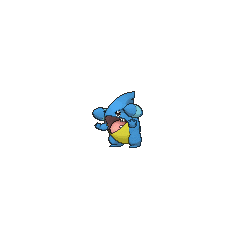 Gible appeared in A Meteoric Rise to Excellence!. He tried to learn Draco Meteor with the help of Ash and friends, but kept failing to use it, succeeding only once. He began to follow the group at the end of the episode. 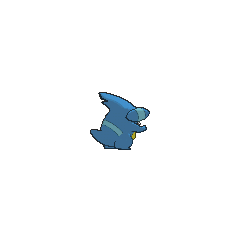 He appeared again in Gotta Get a Gible!, where Ash captured him. Iris caught a Gible in SS028. 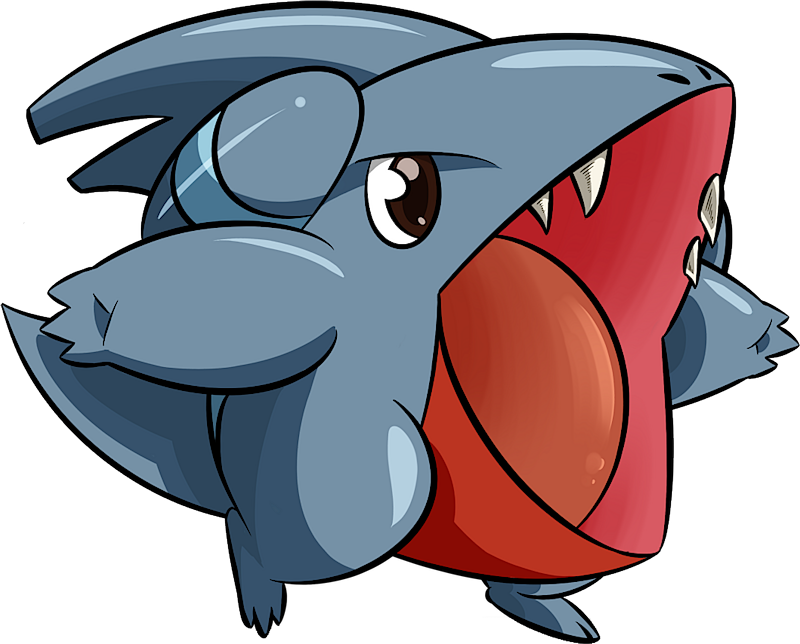 Gible made its debut anime appearance in A Rivalry to Gible On!, where one was caught by Khoury. A Gible appeared in Eevee & Friends. 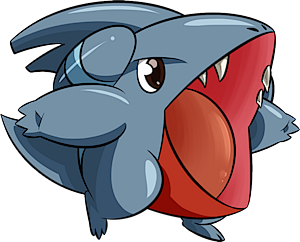 Gible first appeared in the movie The Rise of Darkrai, where it was battling a Bronzor, and again as one of the victims to Darkrai's Dark Void. A balloon shaped like a Gible also appeared in the movie. Fukamaru may be a combination of ? fuka (shark) and ? maru (round). Mandarin Chinese ??? / ??? Yuánlùsha Literally "Round land shark"